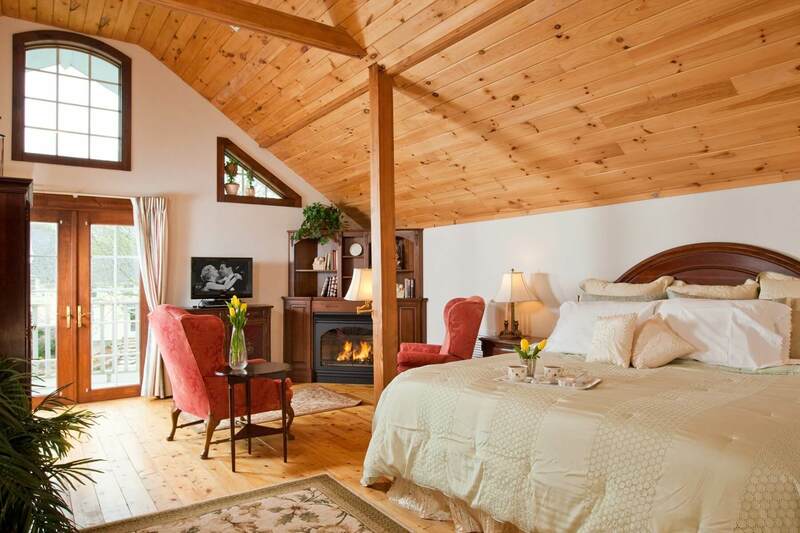 Named for the Captain’s Lady, the Sarah Suite is soft, elegant, and luxuriously spacious, occupying half of the top floor of the Yellow Barn. 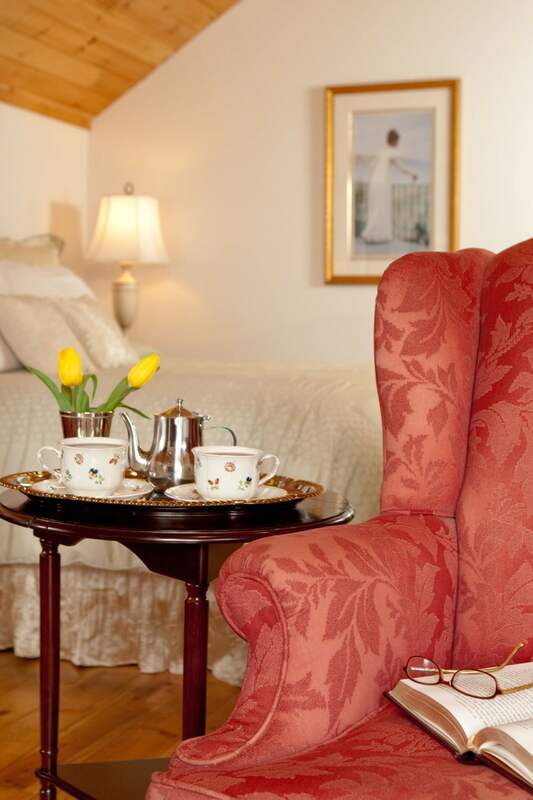 The ideal accommodations for those seeking privacy and romance, the Sarah Suite provides complete privacy from all other rooms. A gently arching French headboard in rich chestnut spans the California king-sized bed. A lovely sitting area features two wing chairs, a gas fireplace (Oct. 1 – April 30), and French doors leading out to a private balcony. 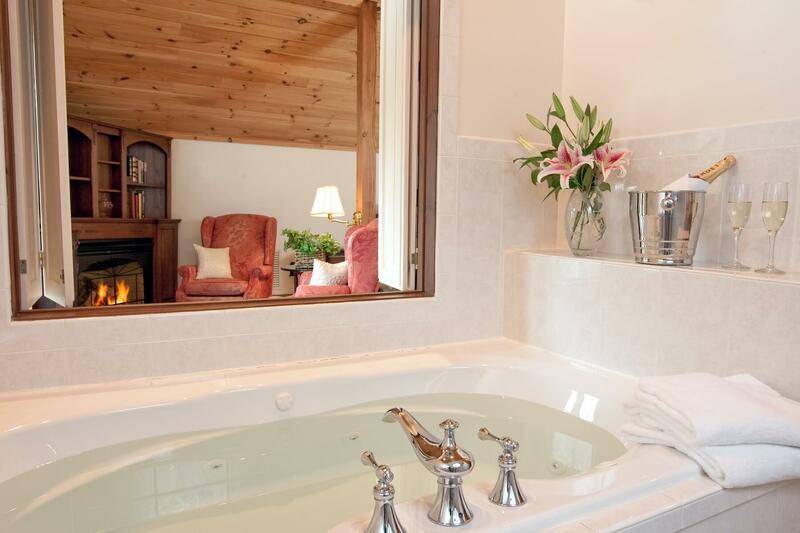 The lavish bath offers his and her lavatories, a bidet, heated towel rack, and a huge walk-in shower. View the fireplace through the open shutters of the two-person whirlpool tub, or close them and just lie back and relax. With all of its state-of-the-art amenities, vaulted beamed ceilings, and extra space to spread out, this suite has been a favorite guestroom for years.